For us, the city dwellers, the longing for Himalayas never ends. However going there that often is not practically possible, so to feed our mountain lust we keep hunting for places to escape from the monotony, even for a few hours. That works well, doesn&apos;t it? 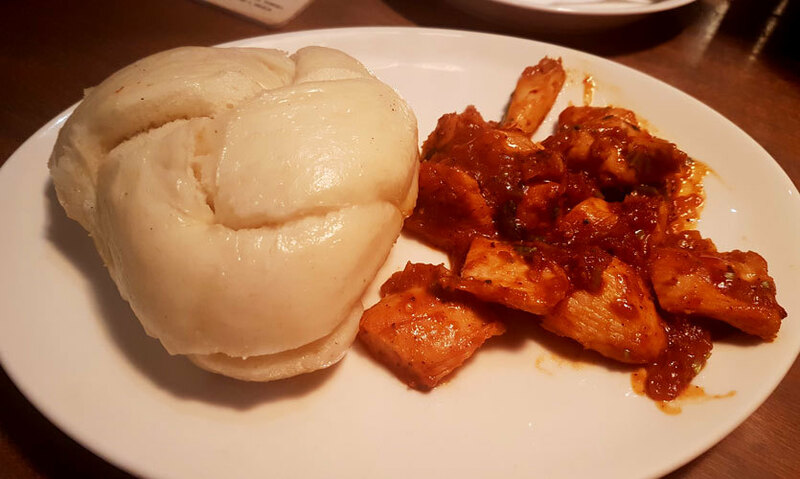 Considering this, Delhiites are being blessed with a few Himalaya oriented eateries and we found a new one for us- Cafe Lungta in Sector 15, Gurgaon. Reaching the place was not easy. We had to take a few rounds of the market itself and that’s when we bumped into it. The name of the eatery, ‘Cafe Lungta’ was written in very small font. However the treachery was worth it for we discovered that it&apos;s not just another Himalayan restaurant in town. Read to know our verdict. White walls. Cutesy lamps. Chocolate brown furniture. Pretty plants on tables. The haunt had a basic yet refreshing vibe to it- just the way we feel when on a mountain top. Situated on the top floor of music lovers haunt, Cocktails and Dreams Speakeasy, this eatery was full of enthusiastic melodious vibes which accompanied us perfectly during our meal. First up was our first cocktail of the meal, Bourbon with Apple cinnamon. 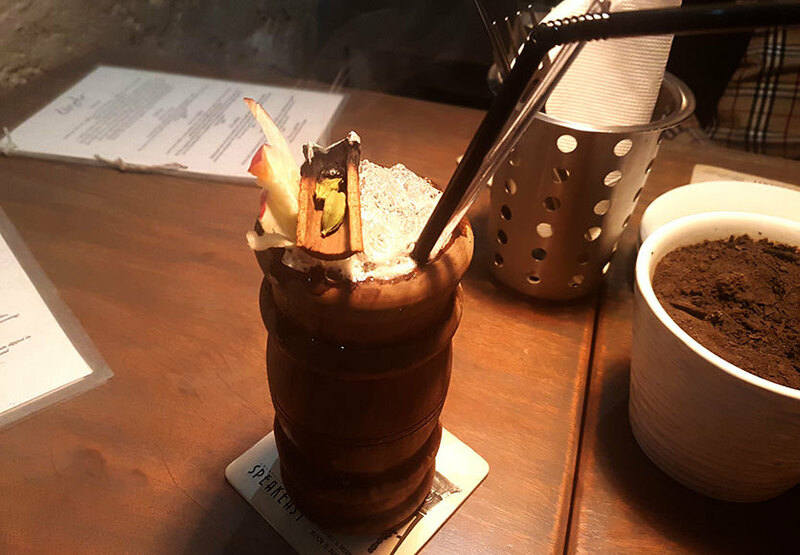 The whiskey based drink was presented in a pretty sassy way; a wooden glass, filled with mammoth amount of ice and donning a burnt cinnamon on top. The drink was a bit sweet with just a perfect hint of cinnamon to it. Served with the cocktail was our first snack- Wai Wai Sandeku. This is basically an authentic Nepalese snack. It looked like the usual wai wai bhel to us. 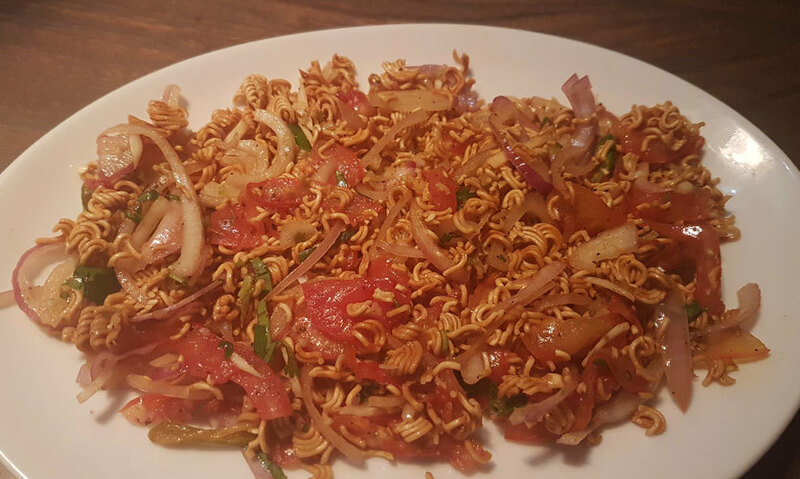 The only twist to it was that unlike wai wai bhel, this dish was made in mustard oil. So every bite that we gorged in, had that pungent and latent mustard taste to it. Next up was a traditional Tibetan dish-Shyapta. 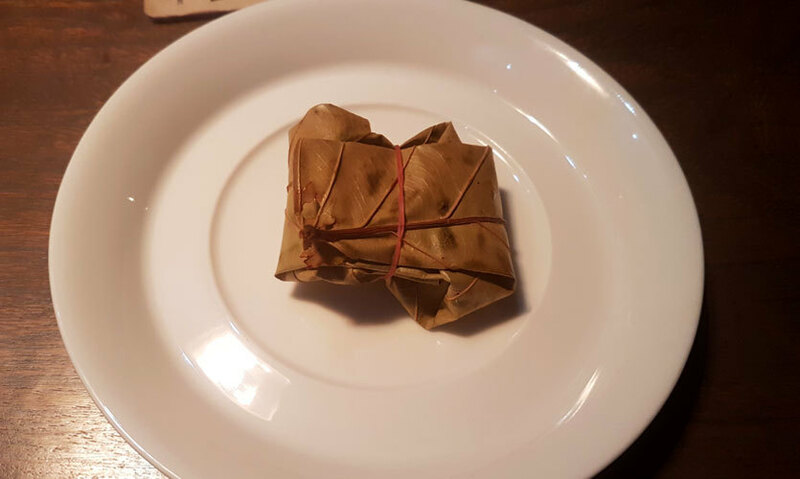 The dish basically had a cloud looking Tibetan bread which was made out of fermented dough and was served with Tibetan version of meat. Woah! The bread was pillowy soft and the meat was perfectly cooked in tangy yet sweet tomato gravy. When we had glugged down our previous cocktail, it was time for the next. They served us the vodka orange cocktail which was a classic beverage done right. 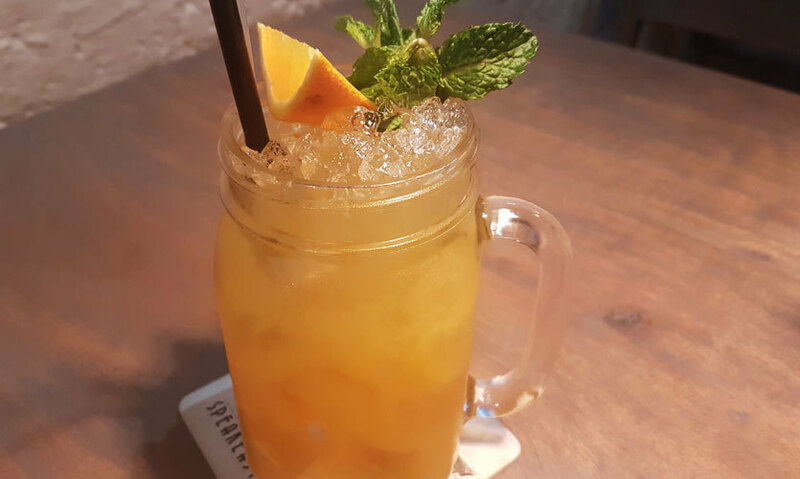 The strong and citrusy taste of the drink, made it super refreshing for us. Couldn&apos;t have had enough of it. Next up was our bae, momos. 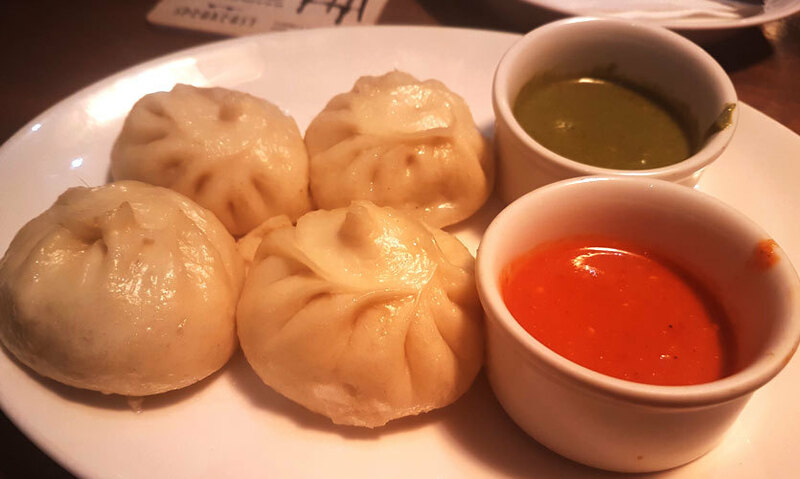 We were served Darjeeling Style Chicken Momos, with the traditional coriander chutney as well as the tomato one. Now you must be wondering what&apos;s so Darjeeling about it? Well, it&apos;s the dough. The delicious chicken stuffing was perfectly encapsulated in a fermented dough. Trust us, this tasted way better than the usual momos. No we can&apos;t ever get enough of momos and so we ordered for another plate of them. This one was called Momocha. 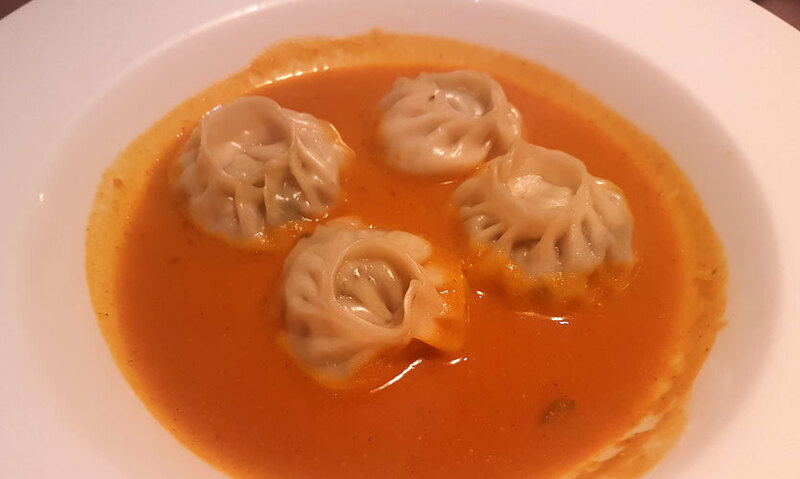 Now these were Kathmandu style momos which were served in a bowl full of tomato and coriander sauce. Undoubtedly, the best part about these momos was the tomato sauce which again was made in mustard oil. Next up was the main course - a real big and sumptuous one. 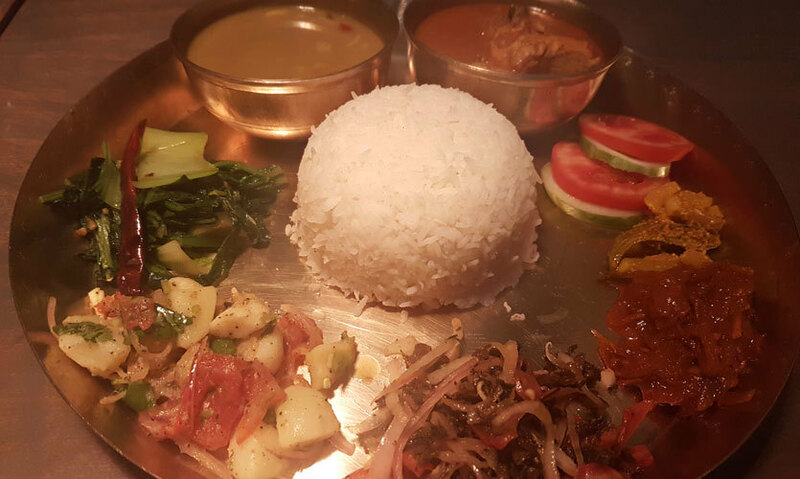 A Nepalese thali, the platter consisted of mooli ka achaar, gundruk, aloo sandeku, saag, boiled rice, chicken and kaali dal. Both the chicken and dal, tasted like ones made at home- pretty basic. But that&apos;s what we loved the most about them. It wasn&apos;t heavy like the ones we get elsewhere. And so we happily noshed it up. Served with Thakali Thali was the sel roti. This isn&apos;t your basic roti- it’s a Nepalese roti made with rice flour, sugar and cinnamon powder. 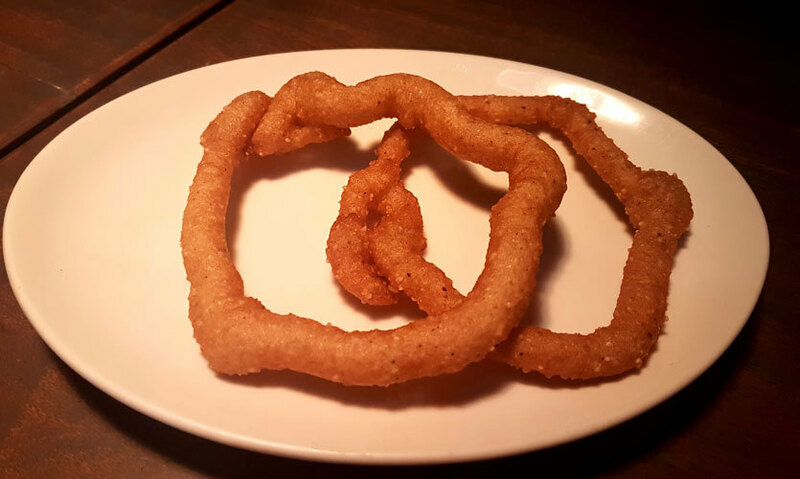 It looked more like a jalebi. Crispy on the outside, moist and sweet on the inside, this roti is a treat in itself. A real snack that we would love to have with coffee or any other beverage. Last but not the least, we were served a hot and soothing cup of coffee. 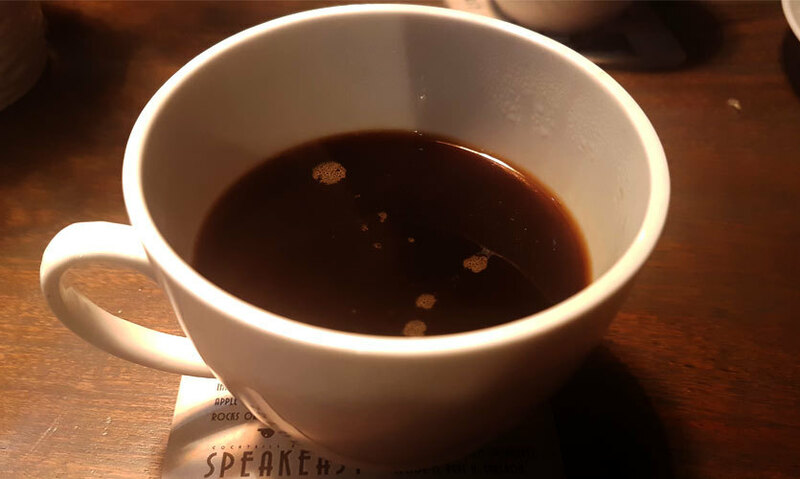 A black coffee, this was super strong and helped us kick away the post meal laziness in a jiffy. Though people who aren&apos;t a big fan of black coffee wouldn&apos;t like this, but being coffee junkies we absolutely loved it. To wind it all up, and as a tradition of their own, they gave us meetha pan. One of the best mouth refresher of all times. 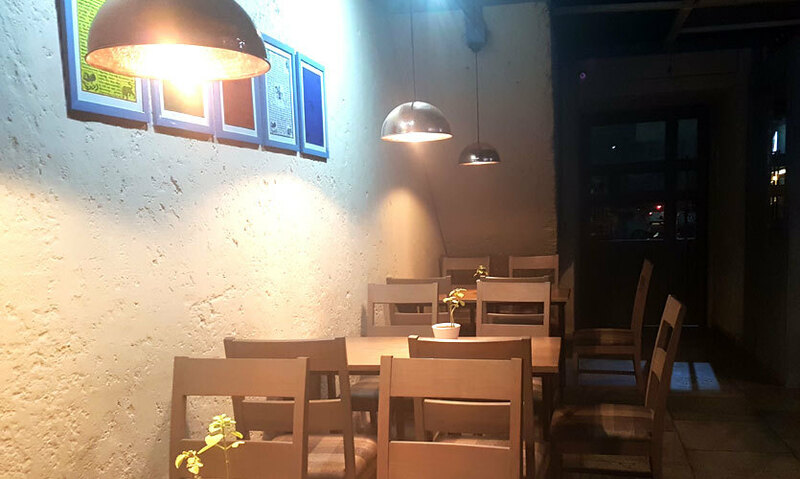 So the next time when you&apos;re looking for some bonafide taste and real feel of Himalayas, pay Cafe Lungta a visit.